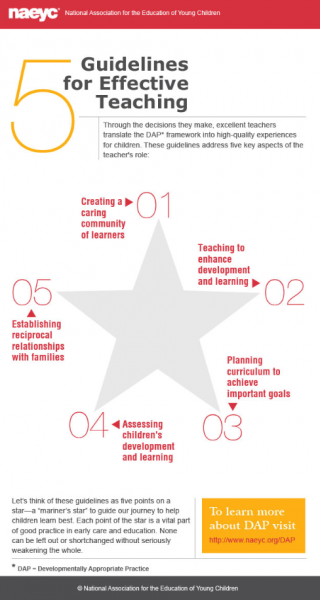 Let’s think of these guidelines as five points on a star—a “mariner’s star” to guide our journey to help children learn best. Each point of the star is a vital part of good practice in early care and education. None can be left out or shortchanged without seriously weakening the whole. Which DAP Book Is for Me?